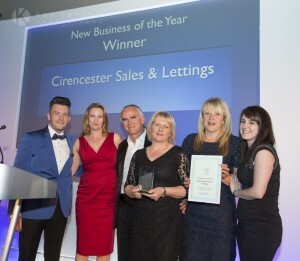 Cirencester Sales & Lettings are very pleased to announce that after entering the Chamber of Commerce Business Awards 2015 at the weekend we came away with a WIN! We won New Business of the Year and also came runner-up in two categories: Team and Professional Services Provider of the Year. To say we are ecstatic in the office in an understatement, those that do business with us know how hard we work and how we go the extra miles. A fantastic evening was had by all even those that did not enter endorsed the fantastic celebrations of great local business.